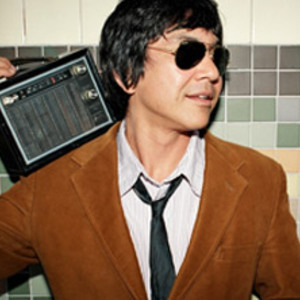 Mark Ramos-Nishita aka Money Mark is a producer and musician who has collaborated with the Beastie Boys many times, after meeting them as their carpenter. Most of his work is underground. He also appears on the first Banyan album as the Freeway Keyboardist. His first album, the relatively obscure Mark's Keyboard Repair (1995), was made up of keyboard driven pop-funk songs recorded at demo quality. It was followed up by the "Third Version EP" in 1996 and Push the Button in 1998. Whereas his 1996 EP was similar to his debut, "Push the Button" was extremely eclectic, combining aspects of Rock music and Pop with Soul, Funk and Hip-Hop. This inventive LP was met with good reviews, as was his 2001 follow up "Change is Coming" which had a tropical yet danceable disco and funk sound.